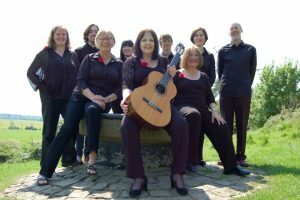 The Huntingdonshire Guitar Ensemble is a vibrant group of enthusiastic and proficient classical guitarists who enjoy playing and performing in ensemble. Our aim is to promote the classical guitar as an ensemble instrument, capable of producing music for all tastes. The repertoire is varied and covers every era and genre. Whilst our principal focus is the guitar, our performances include pieces highlighting both flute and voice. Under the Musical Directorship of Sandra Buckenham we offer concerts and recitals throughout the area.